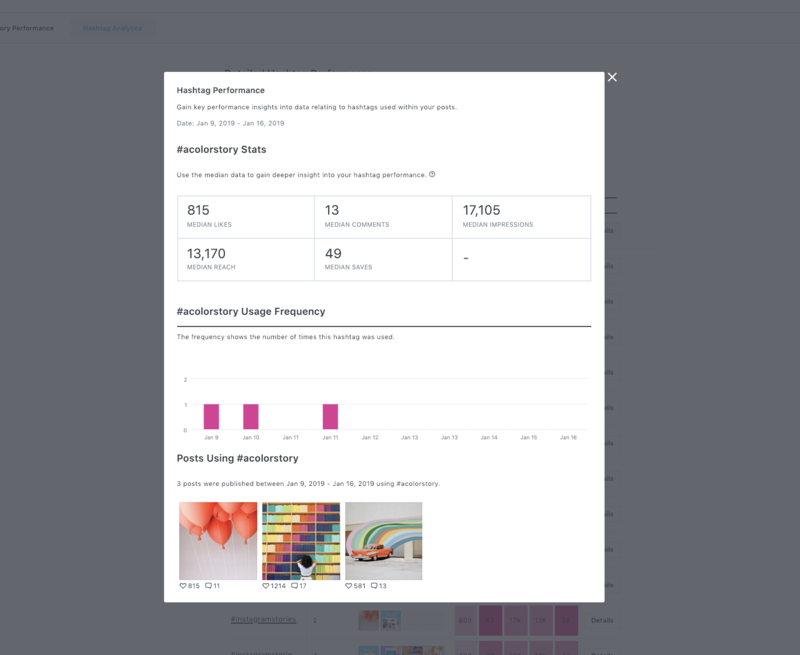 Later’s new and improved Instagram Analytics let you monitor trends in your Instagram’s overall performance, measure weekly and monthly growth, and discover which of your posts are driving the most engagement. Plus, if you’ve designed a shoppable Instagram feed with Linkin.bio, you can track the total number of visits and clicks to your website from Instagram! This feature is available for Instagram business profiles only, and can only be accessed on the web, not on mobile. Your Instagram Analytics' data will become consistent from the time you upgrade onwards. Analytics data is collected for 3 months. Tip: Users on all Later Business Plans can now export their Analytics as .CSV files. Simply click 'Export CSV' over the data you would like to export. 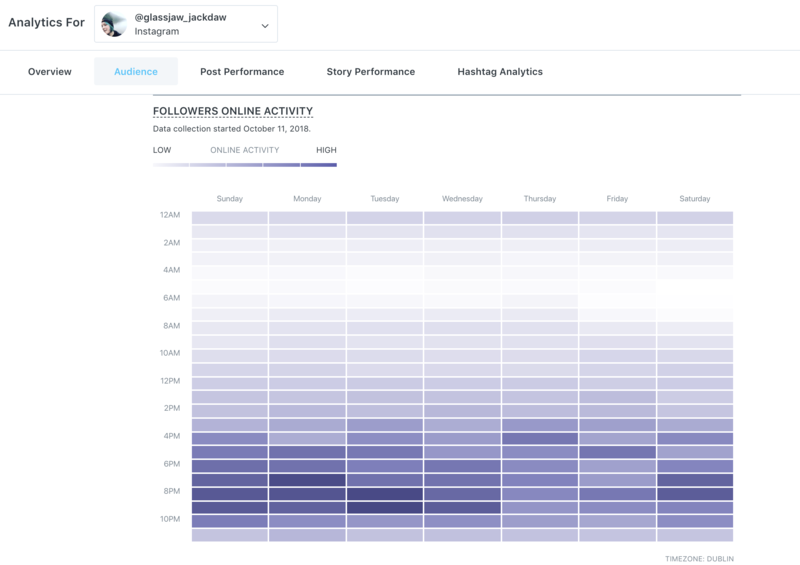 Paid plans get access to an Instagram Analytics Overview Dashboard with increased insights, engagement, performance, and follower growth information. 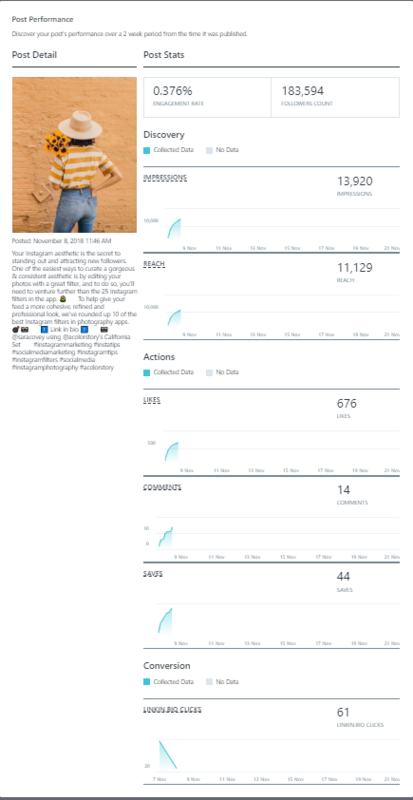 Later's Instagram Analytics have an adjustable date selector, so you can narrow down which posts you see! 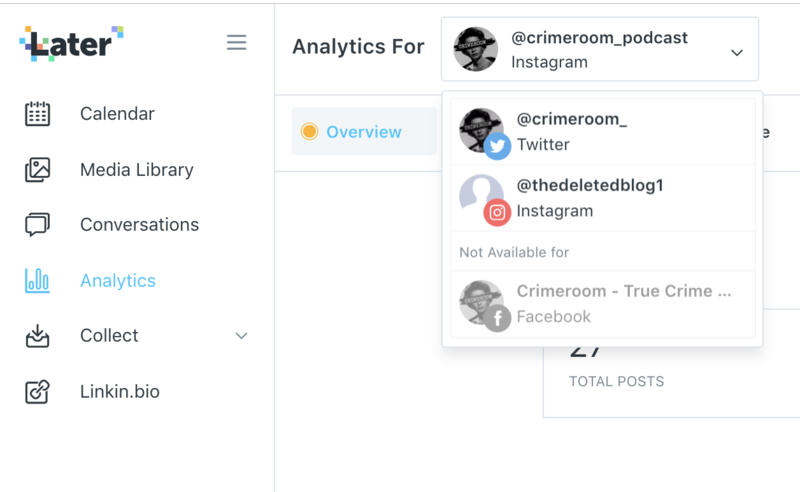 Note: Instagram Analytics users will also retain the free analytics features. 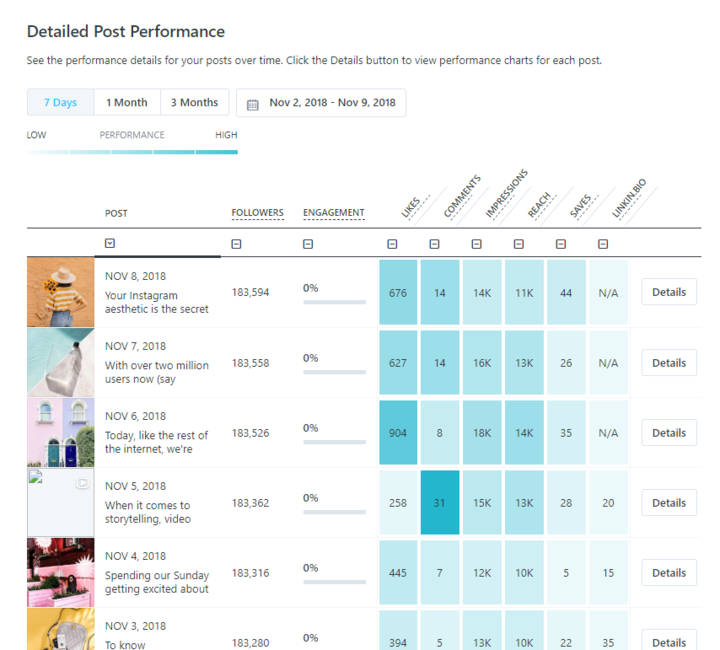 You'll receive an extra engagement rate figure in your top 5 performing posts area. The engagement rate is calculated by adding your likes and comments on a post, divided by the number of followers you had when posted. To make it easy, engagement = (likes + comments) / followers. Take a look at your followers online activity to determine when they're most likely to engage with your content. 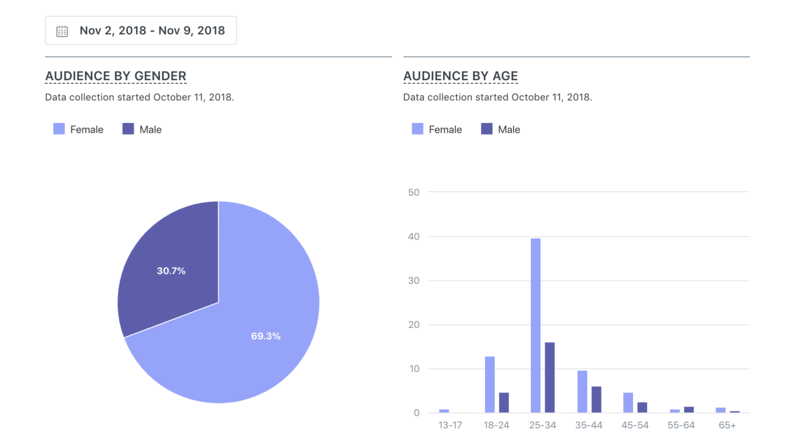 Understand your audience demographics based on gender and age. 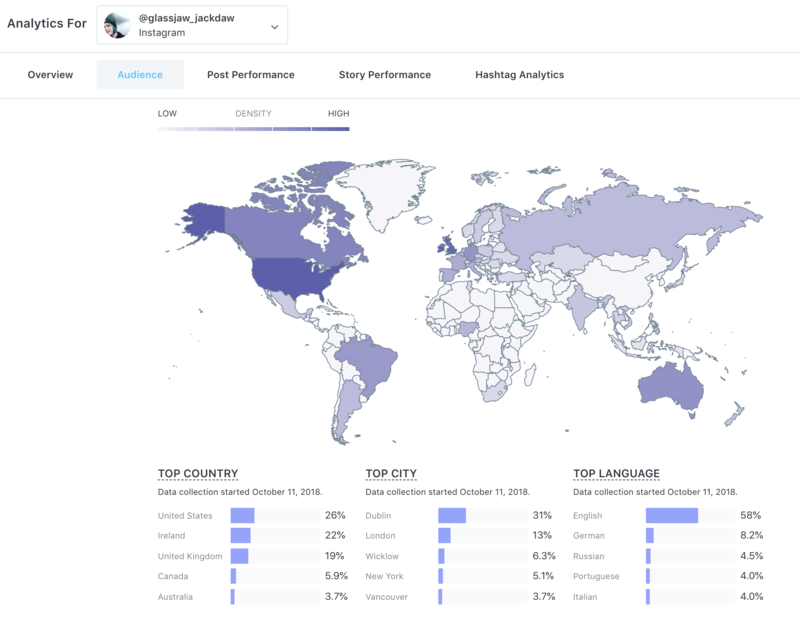 See where your audience live and what languages they speak. See the performance details for your posts over time. Click the Details button to view performance charts for each post. 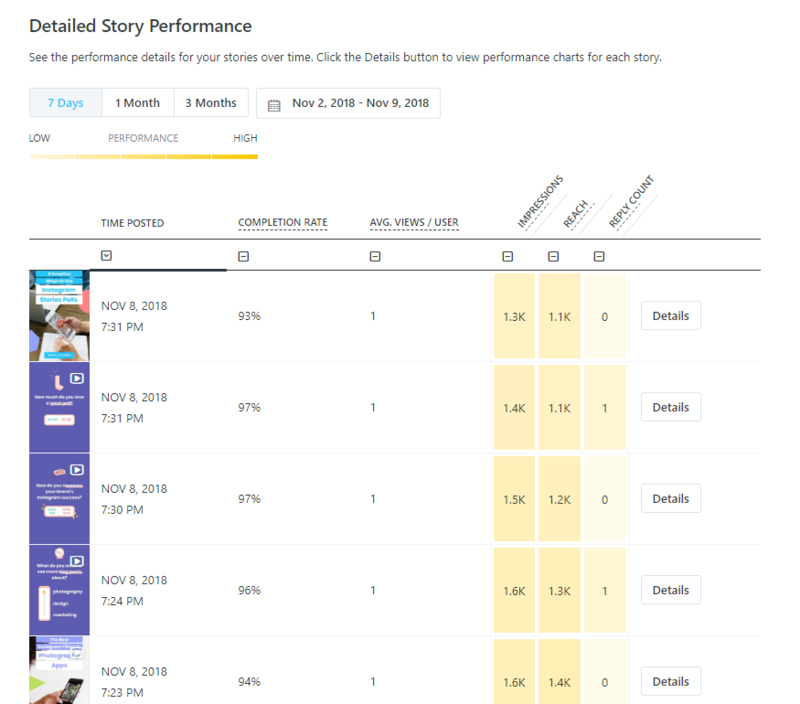 See the performance details for your stories over time. Click the Details button to view performance charts for each story. Discover your story’s performance over a 24 hour period from the time it was published. Hashtag Analytics are offered for Instagram only. This does not include hashtags used in Instagram Story or Video posts. This includes the first 30 hashtags from each post and its comments. A maximum of 50 posts will be displayed for the last 30 days. Hashtag stats are based on the median of the data collected. 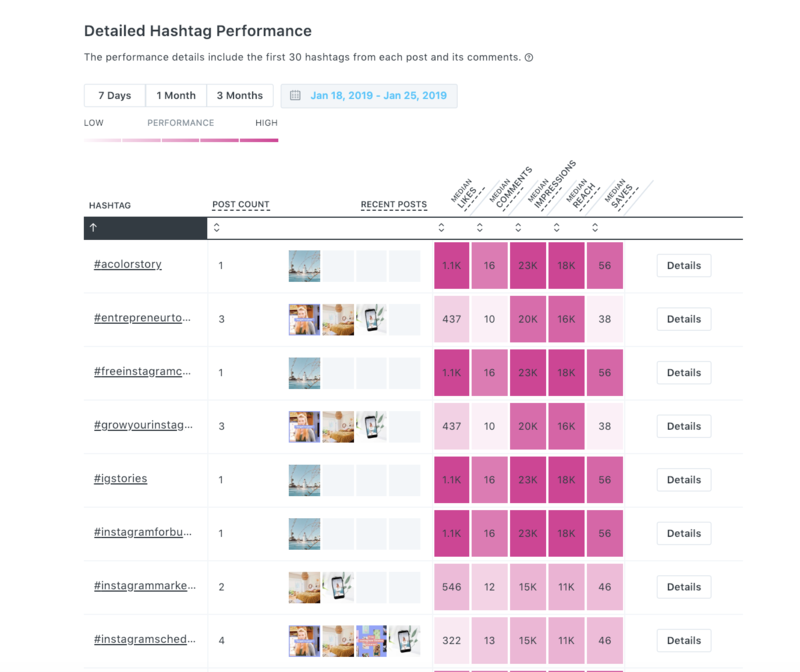 Click the Details button to view a hashtag's post performance, usage frequency, details, and stats! Missing some of your Analytics data? Check out this guide on why that might be.